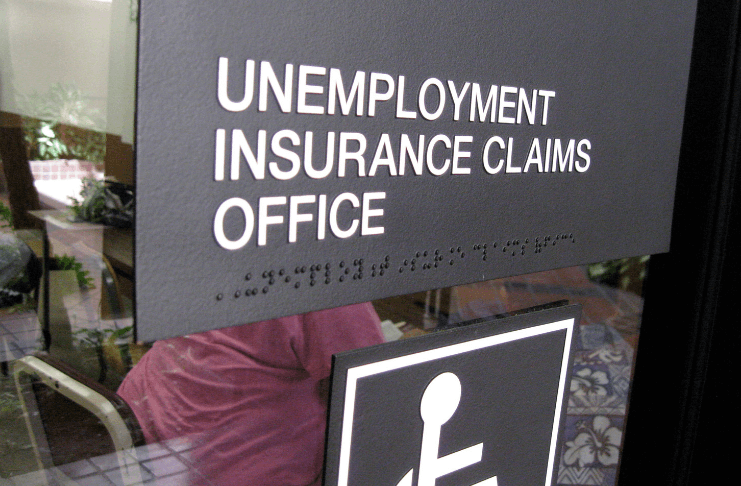 The Michigan Supreme Court on Friday allowed a case to go forward that seeks damages for people who had wages wrongly seized by the state over phony unemployment insurance fraud charges. The court issued an order granting plaintiffs’ appeal in a case that could turn into a major class-action lawsuit for those seeking monetary awards after the Michigan Unemployment Insurance Agency (UIA) issued tens of thousands of false fraud charges between 2013 and 2015. A panel of Michigan Court of Appeals judges previously dropped the lawsuit after ruling that plaintiffs filed charges too late. They had six months to file charges, and the appeals court said the clock started ticking once the state first sent notice of the false fraud charges. But the Supreme Court disagreed. Six justices ruled unanimously that two of three plaintiffs in the case filed suit on time because the six-month deadline began “when the deprivation of life, liberty, or property has occurred,” not when the state served its notice, according to Justice Stephen Markman in the court’s opinion. With a new Democratic governor and the state’s highest court allowing the case to proceed, more than 40,000 people facing wrongful charges are now waiting to see if Gov. Gretchen Whitmer’s administration will decide to settle, rather than fight the lawsuit as former Gov. Rick Snyder’s administration did. Whitmer spokeswoman Tiffany Brown did not immediately return an email from the Michigan Advance. Many of those the state has admitted were wrongfully charged with fraud did not receive notice, because UIA bureaucrats often used outdated mailing addresses or a state-managed online portal meant for people receiving unemployment insurance. But even when claimants did receive notices, there were often mishaps that plaintiffs argue resulted in their due process being denied. The problem occurred during Snyder’s administration when a faulty $47 million automated computer system called MIDAS made many of the false fraud claims. Michigan reversed 85 percent of the fraud determinations made between 2013 and 2015 after an official review. Jennifer Lord, a lead attorney for the plaintiffs, praised the order in a series of tweets, but did not immediately return requests for comment from the Advance. As of March 1, the state still has not repaid roughly 500 people who were wrongfully charged with unemployment insurance fraud between 2013 and 2015, according to Whitmer’s office. Michigan still owes a collective $400,000 to them. Michigan has, so far, refunded $21 million for more than 40,000 false fraud accusations that the UIA made against people who filed for or were receiving jobless benefits. Under the Snyder administration, Michigan pledged to pay back wages that were taken by mistake. Michigan has had a history of and ongoing challenges with bad computer software. A $231 million separate state computer system that tracks child abuse cases is being abandoned after only five years of use, as the Michigan Advance previously reported. Before that, Michigan settled with Hewlett-Packard for $13 million after the state alleged the company failed to deliver on a contract bid on a state department computer system overhaul. That project has since been given to the Colorado-based FAST Enterprises, the same company that developed the faulty MIDAS software which led to the unemployment insurance suit now given the go-ahead from the state Supreme Court.